The Principia Club of Jacksonville and DiscoveryBound Jacksonville Chapter invite you, your family, and friends to participate in the annual Global Days of Service. When: Saturday, April 27 from 9:00 a.m. – 1:00 p.m. This shelter is the only place in Northeast Florida where residents can receive three nutritious meals a day, 365 days a year. Every day, the center prepares and serves over 1,600 meals to shelter residents and hungry neighbors. Preparation from 9–11 a.m. | Serving from 11 a.m.–1 p.m.
Who: Everyone is invited – students of Christian Science and their friends of all faiths! We have programs for ALL AGES – youth, adult and family. What: Learn about DiscoveryBound year-round teen programs such as the National Leadership Council (NLC) and Compass program, plus an update from the A/U Ranches including our Bible Study weekend and Family Camp activities. Food will be provided. 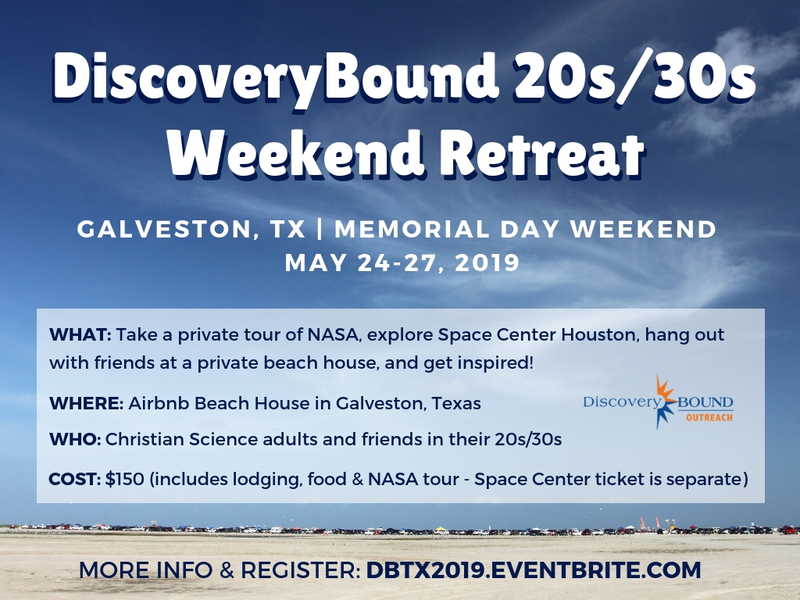 Join us May 24th – 27th, 2019 (Memorial Day Weekend) for a weekend full of inspiration, exploring NASA and Space Center Houston (! 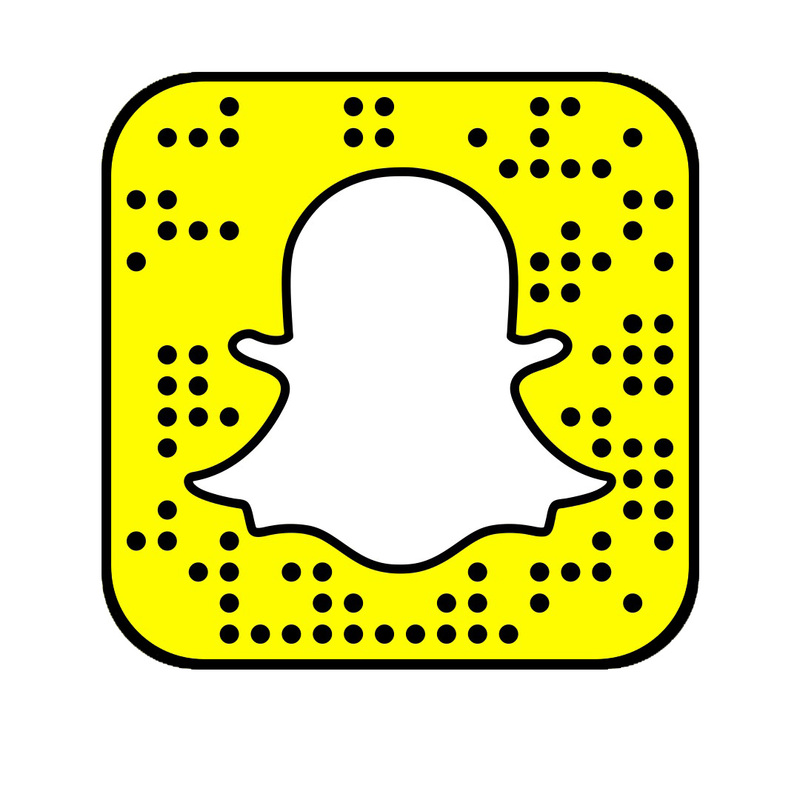 ), swimming, games, nature, socializing, chatting and relaxing! Register now as space is limited. First come, first served. What: Explore breathtaking landscapes while rafting the Kennebec River, hike to the stunning Moxie Falls, experience kayaking and stand up paddle boards and enjoy wilderness camping under the stars. Disconnect from devices and take the time to connect with CS adults and your friends of all faiths from across the country for an Adventure in Maine’s vacation destination. We have all the adventures and challenges you’ll love. In addition to great adventures, base camp is no ordinary base camp. This guided multi-day trip is inspiring and all inclusive* – all you need to do is have the time of your life in the great outdoors. Travel: The program starts and finishes in Caratunk, Maine. Base camp (Adventure Bound) is approximately 2.5 hours from Portland, ME and about 4.5 hours from Boston, MA. A DB shuttle is available to/from Portland, ME airport for an additional fee: $25 one way ($50 for round-trip). Accommodations: Gender-based bunkhouses, option to bring a tent to stay with spouse. *Includes 4 nights lodging , activities, meals – starting from Saturday night dinner through Wednesday breakfast. Travel costs are not included. If you need transportation from the Portland, ME airport or Boston International Airport, let us know (Additional fee). Join Us for the National Annual Event weekend in Los Angeles! Who: Teens entering 8th-12th grades and adults 20+. What: Teens will visit the Santa Monica Pier and beach, Hollywood Walk of Fame, have a pool party, and enjoy workshops from actual industry professionals who are also Christian Scientists. Adults will visit the Griffith Observatory, Walt Disney Concert Hall, and Walk of Fame. Everyone will get to tour Warner Brothers Studios! You won’t want to miss this! Financial Aid is available for teens! Flyer & Registration Coming Soon! Come join us for a family weekend at Stone Mountain Park.This is a wonderful opportunity to explore a wide variety of family-friendly outdoor activities, plus many natural and historic sights with 3,2100 acres. The weekend will include a Summit Skyride, hiking, water sports, reserved terrace seating for LazerShow Night Spectacular, BBQ dinner and much more. Come be a part of the fun! WHO: Christian Science families, 20s/30s, adults, and their friends of all faiths. This is not a teen only weekend. There will be no chaperones. From our great base at Entrada at Moab, we’ll be able to explore Arches National Park with plenty of incredible opportunities for hiking and photography. Consider driving to Moab with friends or flying into Salt Lake City.